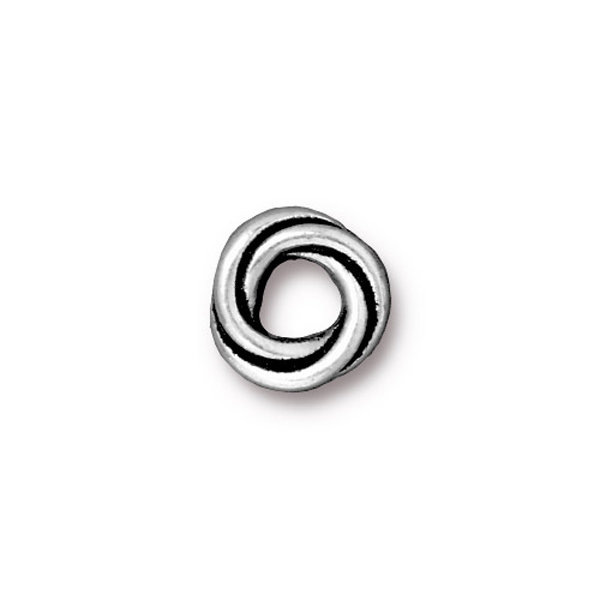 Proudly made in the USA, this large holed spacer bead features a simple twisted design. The outside diameter measures approximately 10mm, across the bead measures approximately 5mm and the hole measures approximately 4mm in diameter. Fine Silver Plate over pewter. Does not contain lead or nickel. Quality product at a reasonable price.